Note: Oracle Server Manager has been deprecated since Oracle 9i, and you need to use SQL*Plus instead. Server Manager is not supported in Oracle9i release 9.0.1 and later. If you run SQL scripts using Server Manager line mode, then you will need to change these scripts so that they are compatible with SQL*Plus, and then run them using SQL*Plus. Companies that use Oracle typically continue to use SQL*Plus scripts for batch updating or simple reports. This module teaches you about Oracle Server Manager (a technology which has been deprecated since Oracle 9i). Server Manager is a utility that was formally used to manage Oracle databases. When you are finished with this module, you will be able to understand how Oracle Server Manager was the predecessor to SQL*Plus. Server Manager was an important part of your toolkit for managing an Oracle database and was worth learning prior to the release of Oracle 9i. 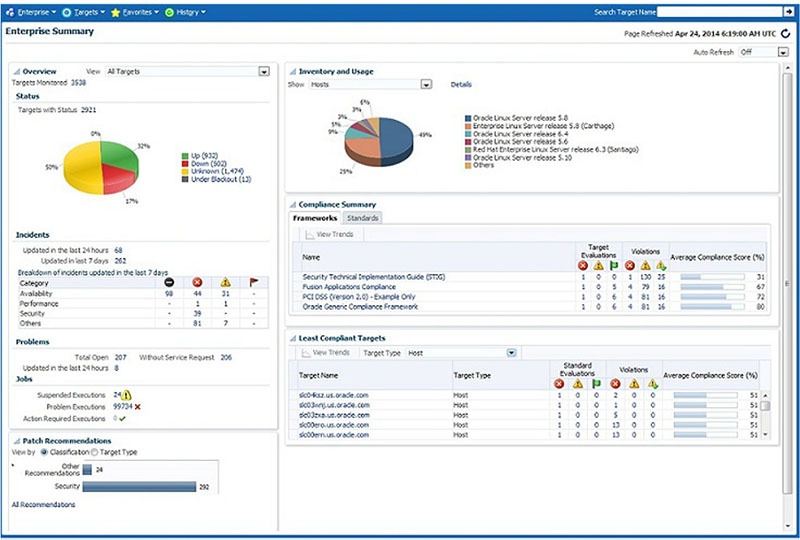 Oracle Enterprise Manager is Oracle's integrated enterprise information technology (IT) management product line, which provides the industry's only complete, integrated, and business-driven enterprise cloud management solution. Oracle Enterprise Manager creates business value for IT by leveraging the built-in management capabilities of the Oracle stack for traditional and cloud environments, enabling customers to achieve unprecedented efficiency gains while dramatically increasing service levels.